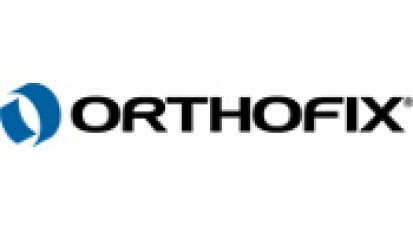 Conan Laughlin’s North Tide Capital has revealed holding 1.09 million shares of Orthofix International NV (NASDAQ:OFIX). The position represents 5.99% of common stock and is passive by nature. At the end of last year, North Tide Capital reported ownership of 675,000 shares of the company. Based in Texas, Orthofix International NV (NASDAQ:OFIX) is a diversified, global medical device company focused on improving patients’ lives by providing superior reconstructive and regenerative orthopedic and spine solutions to physicians worldwide. The company has a market cap of $598.7 million. For the fourth quarter of 2013, Orthofix International NV (NASDAQ:OFIX) reported net sales of $106.1 million, compared to $117.4 million in the same quarter of 2012, according to a statement. The company’s full-year 2013 net sales were $400.5 million, compared to $447.6 million in 2012. Last month, Orthofix International NV (NASDAQ:OFIX) announced that Ronald A. Matricaria was appointed as a director and chairman of the company’s board. Mr. Matricaria replaces Kathleen Regan, who has served as interim chair since January 2014, and she will continue to serve as an independent director for the company and chair of the nominating and governance committee. Other largest shareholders of the company include Mitchell Blutt’s Consonance Capital Management and Casey Nelson’s Alistair Capital, holding approximately 931,100 shares and 207,900 shares, respectively as at the end of 2013. Boston-based North Tide Capital was founded by Conan Laughlin in 2011. The fund focuses on the healthcare industry and has an estimated about $850 million in assets. Prior to North Tide Capital, Conan served as a portfolio manager at Israel Englander‘s Millennium Management LLC, which also owns 554,499 shares of Orthofix International NV (NASDAQ:OFIX). North Tide Capital’s equity portfolio value was around $1.1 billion at the end of the fourth quarter of 2013, up from $953.3 million in the third quarter. Teva Pharmaceutical Industries Ltd (ADR) (NYSE:TEVA) was represented as the largest holding, in which the fund boosted its stake to 2.75 million shares from 2.33 million. In WellPoint Inc (NYSE:WLP), the fund trimmed its position to 900,000 shares from 1.05 million held previously.